This is probably THE most exciting IMM post to date thanks to the PAYA Festival I attended on Saturday. Coming soon, I will be dedicating a post to this amazing event and I'll be sure to share pictures as well. I met so many incredible authors and book bloggers! I'm so glad I attended....but more about that later. *I had the pleasure of meeting Cyn at PAYA and before we all went to lunch, I tried to convince her to come speak at my school. :) How cool would that be?! I got a signed copy of this one! Goodreads says, "Eron DeMarchelle isn't supposed to feel this connection. He is a Sandman, a supernatural being whose purpose is to seduce his human charges to sleep. Though he can communicate with his charges in their dreams, he isn't encouraged to do so. After all, becoming too involved in one human's life could prevent him from helping others get their needed rest. But he can't deny that he feels something for Julia, a lonely girl with fiery red hair and sad dreams. Just weeks ago, her boyfriend died in a car accident, and Eron can tell that she feels more alone than ever. Eron was human once too, many years ago, and he remembers how it felt to lose the one he loved. In the past, Eron has broken rules to protect Julia, but now, when she seems to need him more than ever, he can't reach her. Eron's time as a Sandman is coming to a close, and his replacement doesn't seem to care about his charges. Worse, Julia is facing dangers she doesn't recognize, and Eron, as he transitions back to being human, may be the only one who can save her...."
*Definitely got a signed copy of this one while at PAYA! Goodreads says, "Best. Birthday. Ever. At least, it was supposed to be. With Logan's band playing a critical gig and Aura's plans for an intimate after-party, Aura knows it will be the most memorable night of her boyfriend's life. She never thought it would be his last. Logan's sudden death leaves Aura devastated. He's gone. Well, sort of. Like everyone born after the Shift, Aura can see and hear ghosts. This mysterious ability has always been annoying, and Aura had wanted nothing more than to figure out why the Shift happened so she can undo it. But not with Logan's violet-hued spirit still hanging around. Because dead Logan is almost as real as ever. Almost. It doesn't help that Aura's new friend Zachary is so understanding--and so very alive. His support means more to Aura than she cares to admit. As Aura's relationships with the dead and the living grow ever complicated, so do her feelings for Logan and Zachary. Each holds a piece of Aura's heart...and clues to the secret of the Shift." *I've read Angel Star already through an ARC tour, but was bummed to have to mail the book to the next person on the tour. At PAYA I knew I had to get my own signed copy! Read my review of Angel Star here. Goodreads says, "Seventeen-year-old Teagan McNeel falls for captivating Garreth Adams and soon discovers that her crush has an eight-point star etched into the palm of his right hand-the mark of an angel. But where there is light, dark follows, and she and Garreth suddenly find themselves vulnerable to a dark angel's malicious plan that could threaten not only her life, but the lives of everyone she knows, and now, she is torn between one angel's sacrifice and another angel's vicious ambition. Divinely woven together, Angel Star takes readers on a reflective journey when one angel's sacrifice collides with another angel's vicious ambition in a way that is sure to have readers searching for their own willpower." *Katelyn at The Bookshelf Sophisticate recommend this one to me! I got it signed as well! Goodreads says, "Weston Wilson is not immortal and he is of this world. But, aging is not part of his existence, and eighteen-year-old Sophie Slone is determined to find out why. In doing so, she could also uncover something about her own life expectancy that she may not want to know. Suddenly, immortality will mean everything and nothing all at the same time. Intensely fascinating and rich with determination, The Pace brings together romance, mystery, and suspense in a compelling bond that is sure to have readers asking for more." *I won this ARC through Tales of Whimsy's giveaway. This one looks promising! Goodreads says, "When Adrianne comes face-to-face with the mermaid of Windwaithe Island, she is convinced that the mermaid means her harm. After all, the island is steeped in stories of mermaids' curses and the ill-luck that they bring. But Adrianne is fierce-willed and courageous and is determined to protect her family and the islanders from danger. 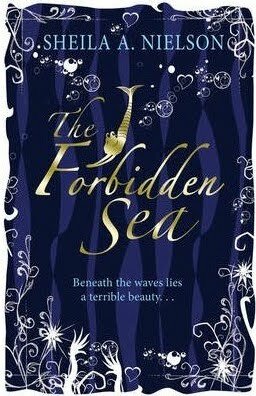 Yet when the islanders find out about Adrianne's encounters with the mermaid, her family is scorned. They believe that once active, the mermaid cannot be quieted until an islander sacrifices herself to the sea. But is the legend true? And will their fear make them force Adrienne to test it? This is a haunting story of love, surrender and strength. " *I plan on framing it and putting it my classroom. I really enjoyed Shadow Hills and was thrilled to win this through Daisy Chain's giveaway. What did you guys get in your mailbox? Have you read these books? Let me know what you think. I look forward to checking out everyone's mailboxes. Have a great day! This meme is hosted by The Story Siren. Very jealous of Sleepless and Shade, both sound fab! I've been debating getting an e-reader recently and I might just have to do it! It was so nice to meet you. PAYA rocked :D! Lucie- I am already loving the e-reader! You should definitely do it! :) Thanks for stopping by! Shelena- It was so great to meet you as well. :) I look forward to reading your book! I have not heard of The Pace! Really I haven't. 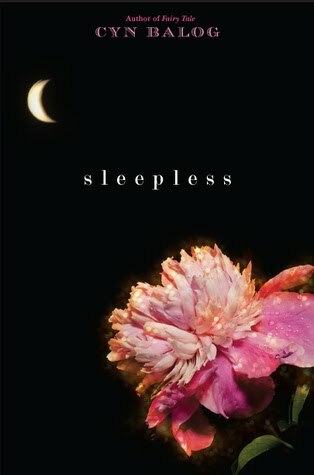 It's now officially on my tbr list. :) Sounds really good! Enjoy the books you got in your mailbox. Yay for the Nook! 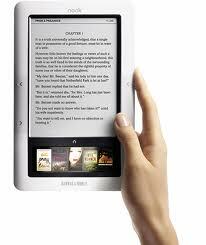 I just purchased a Kindle this week but it`s back ordered. Ooh, amazing books this week! I've been dying to read The Pace! 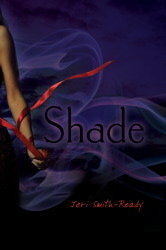 I haven't read Shade yet, but it looks fabulous. Great mailbox! My IMM Birthday Edition is here. Exciting week! I look forward to hearing about the festival. I love my Nook - hope you do too! Thanks for stopping by, everyone! I appreciate it. Cyn- It was so great to meet you. I would love for you to visit my school. It would be incredible. I will definitely be in touch once the school year gets going. Thanks again!! It was great to meet you, Christina! Can I just say I think you are the most fabulous 8th grade teacher I've ever met? You must call us whenever you come to Pittsburgh - we'd love to host you and your hubby! Have a great start of your school year! Veronica- Thank you so much! That really means a lot to me. I truly enjoyed meeting you and Anne at PAYA. It was such a great day. Thanks again!